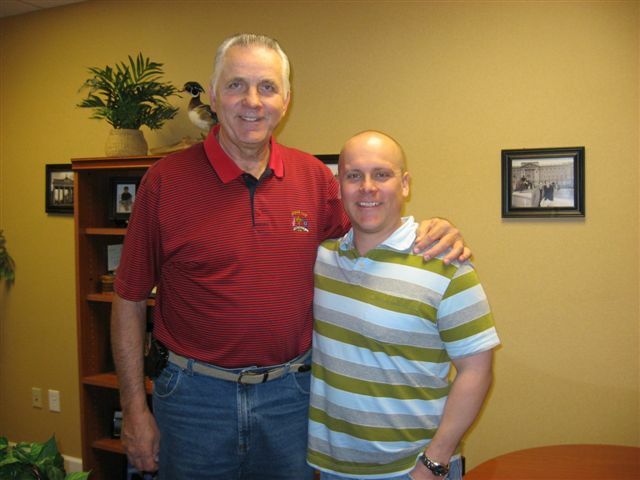 Spent some time on Thursday with Jerry Lucas, a college and NBA basketball hall of famer who swung by the office for an interview. Interestingly, we had a conversation about the state of basketball today. Wow- some really interesting thoughts from him. But besides that, it dawns on me that the tradition of the game that many greats such as Jerry Lucas help create is such a different game altogether these days. Jerry was on the 50 greatest players of all time team. I mean, 50 greatest EVER. That is impressive. This one will be up on the wall pretty fast!